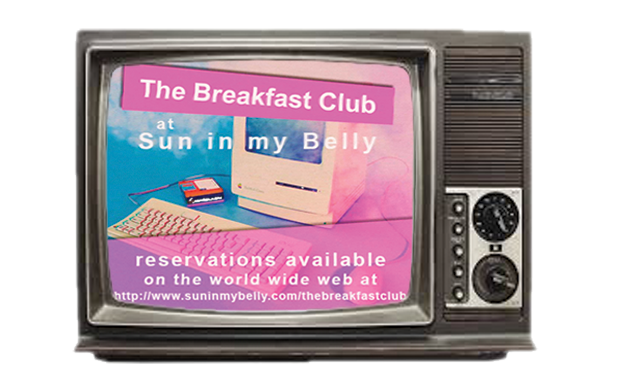 Sun in my Belly presents, The Breakfast Club: A Totally Awesome 80’s Dining Experience. Beginning next week, October 5th at 6pm, come throwback with us on Thursday evenings and experience Sun in my Belly like you never have before. More info at www.suninmybelly.com/thebreakfastclub. Reservations encouraged.